Hello all, I've been searching craigslist for people to take my desktop off my hands, so I figured I would change it up and see if there are any takers on here. I have a HP Pavilion Elite m9400f desktop computer. 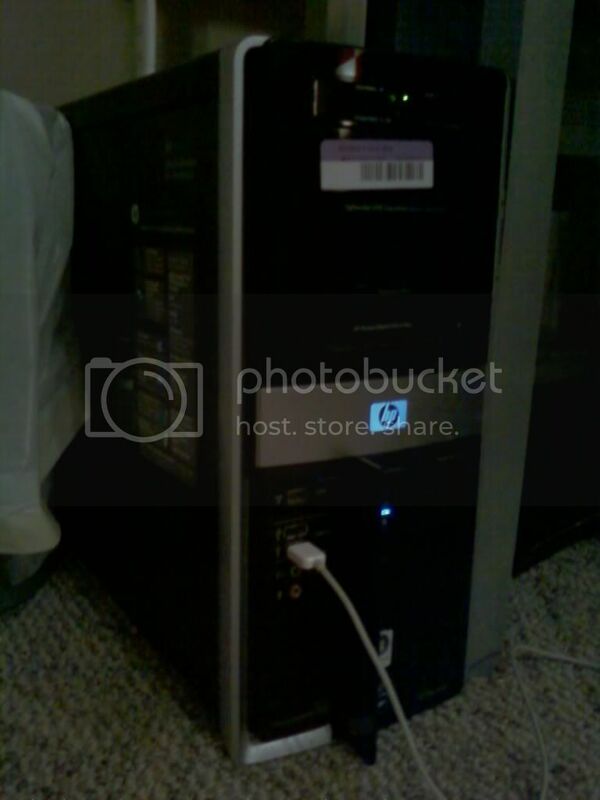 This is really a great PC, great for gaming and makes a good media center as well. I'm really not looking for a windows based PC at this point in time, but If anybody has a Macbook or something that they would be willing to trade then that would be much appreciated. I live in Nashville, TN. I am NOT shipping my pc through the mail, so Local buyers or anybody interested should live SOMEWHERE in TN. I have a car and can drive to meet you in a public place if needed. Yet again, I will do direct trade for a good condition Macbook, since my PC is in great condition, or I will sell for 700 OBO, since I spend a little oveer 1000 for the PC. Will Include Tower, HP vs17e Monitor, HP mouse, HP keyboard and speakers.